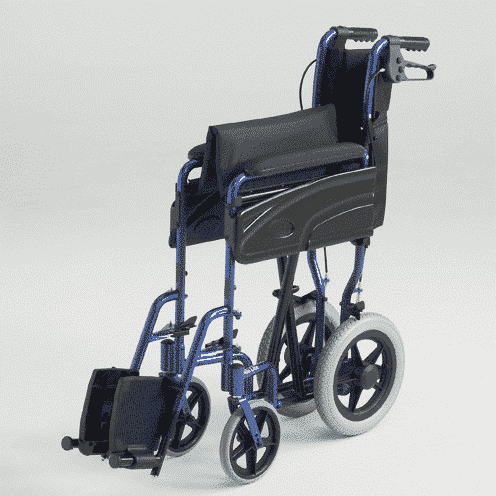 The Invacare Alu Lite transit wheelchair from Invacare is a lightweight easy to manoeuvre transit wheelchair. The Alu Lite manual wheelchair has proven to be very popular and shows why Invacare are the market leaders in mobility products. 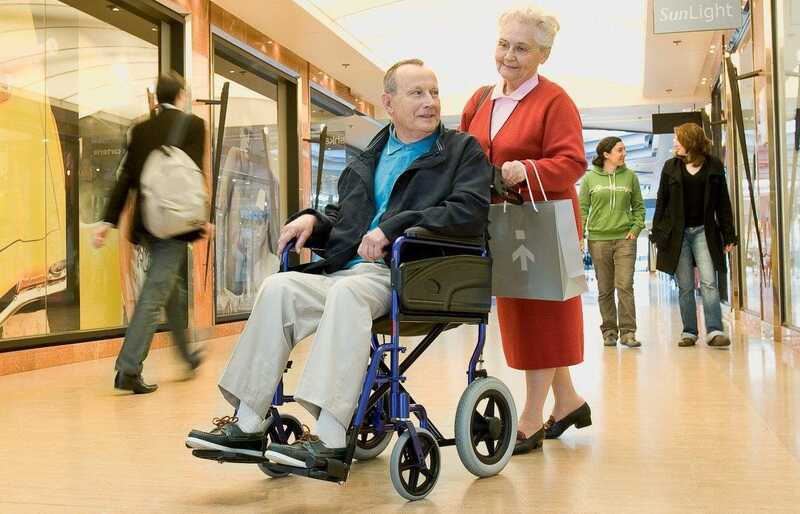 The Invacare Alu Lite transit wheelchair has a very high quality build and along with its lightweight and manoeuvrability are just some of the things that make the Alu lite transit wheelchair one of the most popular wheelchairs around. The main frame of the Alu Lite is made from strong but lightweight aluminium mean getting around is incredibly easy. The full weight of the Alu Lite is only 12kg! Removing the footrests drops that weight to a staggering 10.2kg, this is surprisingly light for a transit wheelchair this size. The whole chair folds in on itself as well making storing the Alu Lite a breeze. To fold up the Alu light simply fold down the backrest, flip up the footrests and the frame can be pushed together from either side. 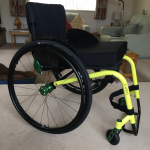 The weight of the wheelchair and being able to be folded is also ideal for transportation, simply fold up the wheelchair and place it in the boot of your car and you are ready to go! 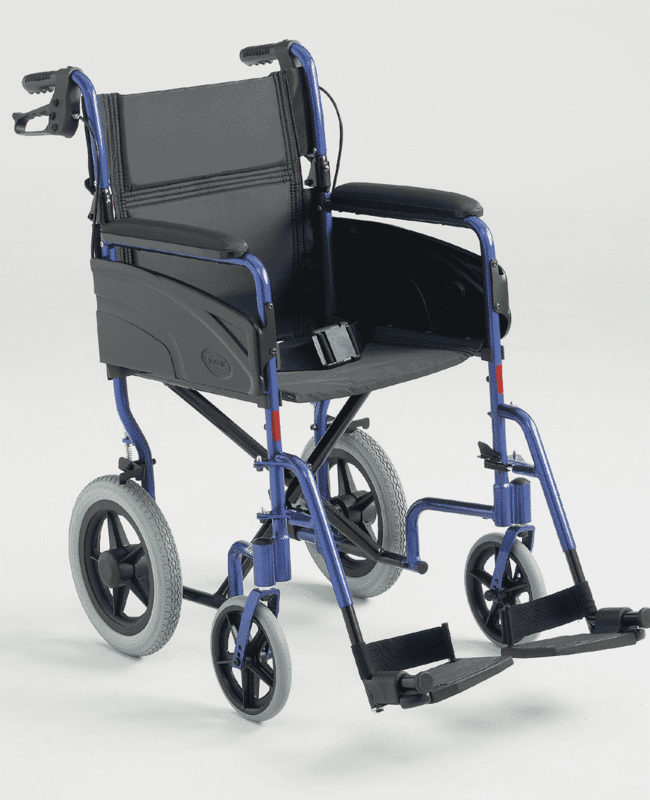 For use both indoors and outdoors the Alu Lite has excellent manoeuvrability and has been designed to be very easy for someone to push. Smaller dimensions and being more overall compact means you can weave in and out of those tight spaces without a problem. The Alu Light is ideal for use around the home or quick trips to the shops, as it is easy to navigate around furniture or shopping isles alike. It’s important that the attendant can easily manage the wheelchair they’re pushing, and this particular transit wheelchair is incredibly easy to push. As well as being light and easy to manoeuvre on both indoor and outdoor terrains, the Alu Lite also has high quality cable brakes making it easy to control and safe to use. The Alu Lite is available to purchase in two seat widths either 16’’ or 18’’. The aluminium frame coming in an attractive blue along with the black nylon upholstery. 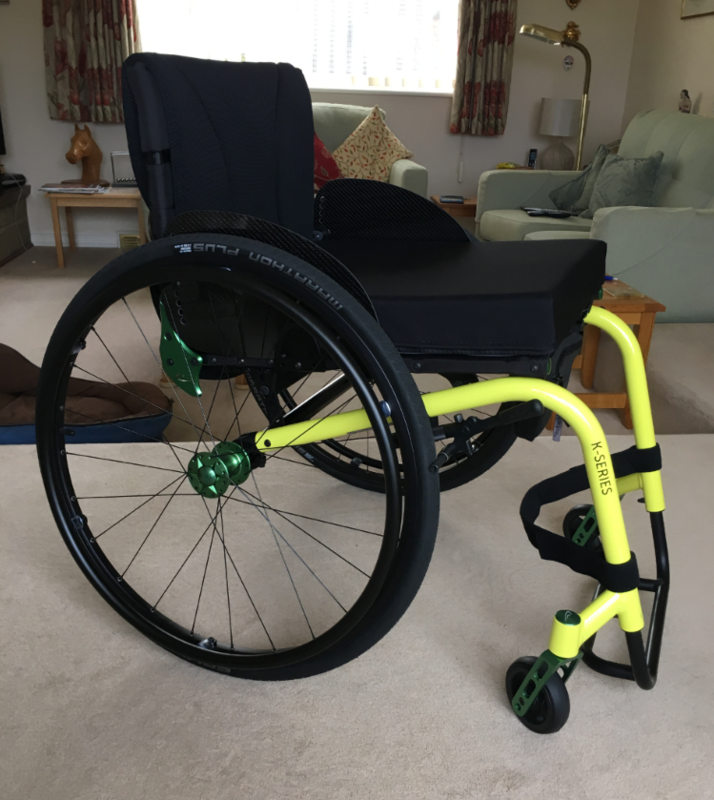 Overall the Alu Lite is a lightweight easy to use transit wheelchair for someone who wants little fuss and a lower cost. 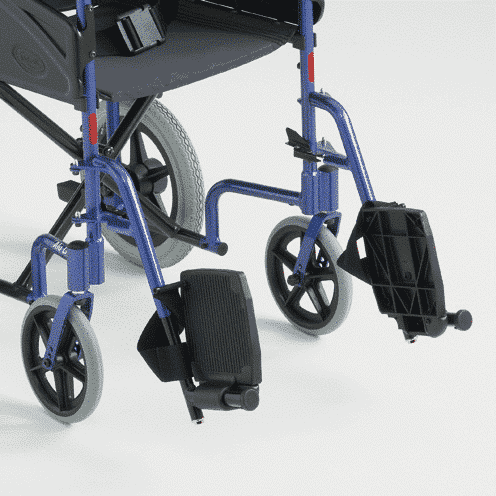 Created by Invacare the Alu Lite has been made to be incredibly lightweight and portable, making storing and transporting the chair easy. 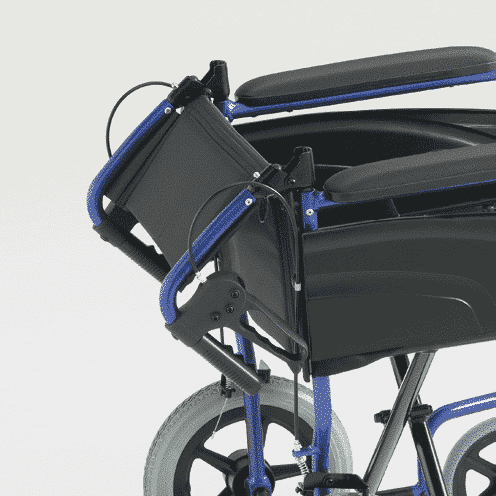 The Alu Lite is perfect for someone who wants a hassle free manual wheelchair. 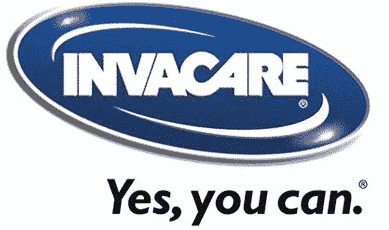 If you want to know more about the Invacare Alu Lite or any of our manual or powered wheelchairs please contact us or call into one of our showrooms in Essex and talk to one of our friendly staff.